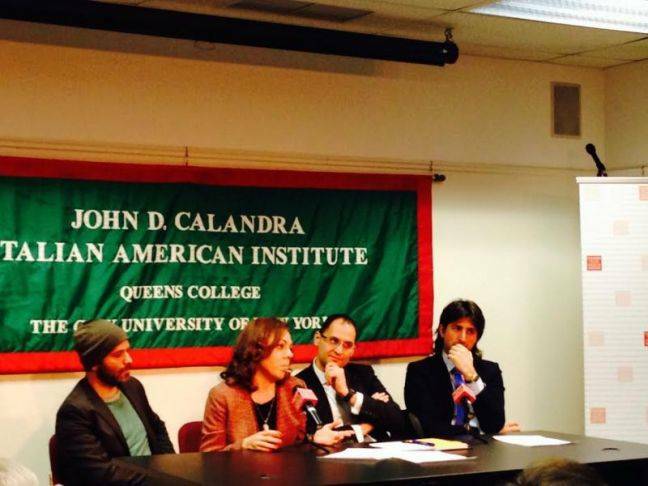 The Calandra Institute was founded in 1979 as the Italian American Institute to Foster HigherEducation based in Manhattan but housed administratively in Queens College, City University of New York. There were three major divisions when it was founded: one for counseling, one for research, and one for outreach. 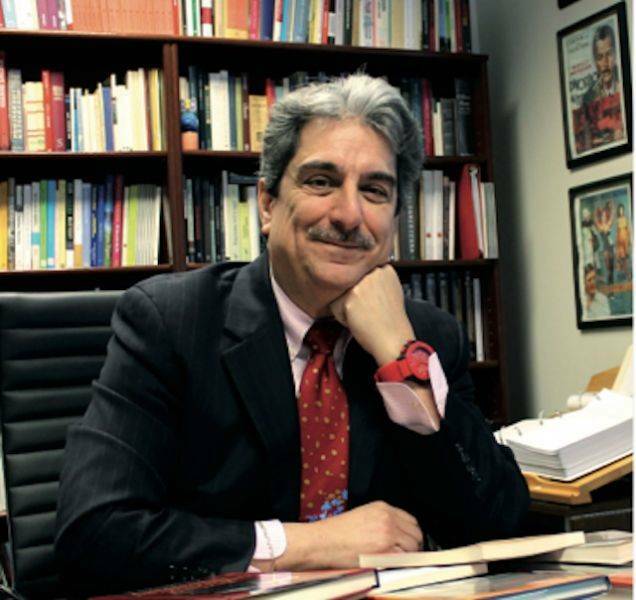 There was a great deal of counseling services offered to Italian-American students since, for the most part, they were first- generation college students. In 1984, the Institute became the Italian American Institute, after a restructuring. The mission remained the same, with more research done in the subsequent 20 years. It was named The John D. Calandra Italian American Institute in 1986, after the late New York senator John D. Calandra who was the motivating force in creating the Institute. After some turbulent years in the late ‘80s and early ‘90s, the Institute was reconstituted once more in 1995 as a University-wide Institute. The mission remained basically to serve the Italian American community in various ways through outreach, research, counseling but also through the study and the promulgation of the culture and history of Italians in New York and in America. In 1988, the TV program Italics was created. n the last seven years we instituted a few other things: book publication, significantly expanded public programming, featuringlectures,book presentations, art exhibits, film screenings, and much more. 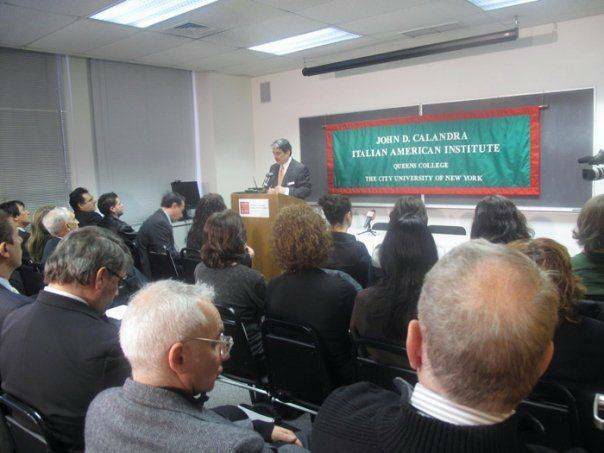 In 2008, we organized our first annual conference; for the last six years we’ve held these onferences in April, examining, at times, debatable themes about Italians and the Italian diaspora. We also reconstituted the Italian American Review as a strictly peer reviewed, social science and cultural studies journal. We also established the research unit dubbed Oral History Archive that deals specifically with researching and interviewing elected officials and other influential political figures of Italian descent. This proves very important, as these are topics that people haven’t discussed; as such, we were not part of that national conversation on ethnic politics. Last but not least, I’d like to mention the truly unique thing about the Calandra Institute—its library, something about which we can truly boast. It is probably the largest library of its kind: four distinct collections that comprise approximately 21,000 volumes. We have a few thousand books about Italy from the 19th century to Fascism. We have one of the largest collections of books by and about Gramsci. Then there is the Pietro Saracino collection, 13,500 volumes, both monographs and journals, including the complete collection of Italian Laws and Decrees from 1861 to 1959 and a run of Civiltà Cattolica from 1850 to 1992. Our library is the ideal place for anyone studying the intellectual, political, and cultural history of Italy. We have also intensified our connections with universities in Italy. Part of this is done through our CUNY/Italy exchange, a unique program where students from Italian universities come to the US, and our students go there. In addition, we recently won a grant from the Rockefeller Foundation to organize a four-day workshop in early March at their center in Bellagio, Italy. 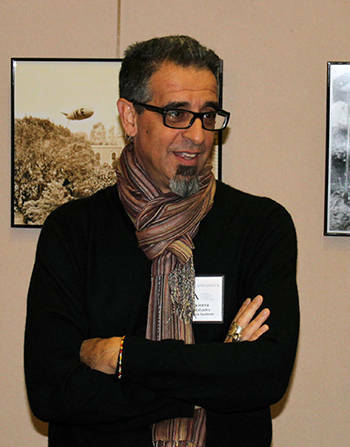 The goal is to engage with Italian professors of American Studies and begin a dialogue between the two countries with regard to American Studies and, more specifically, to Italian American Studies. This is the first of its kind: 20 people will gather for four days, in a type of “monastery” situation, discussing how to develop programs and include them in college curricula; how to develop exchanges; how to develop collaborations in the form of conferences, joint research, and publications. Noteworthy, indeed, is that, at the moment, in Italy there is only one MA program in American Studies (Torino); another is in development at the University of Napoli Due. The Calandra Institute becomes instrumental in this regard. 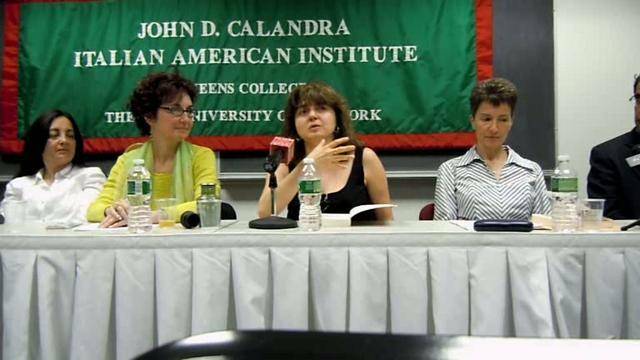 The Calandra Institute is also a place where we can raise issues and discuss topics that some may find controversial. For instance, our next annual conference will be dedicated to international organized crime. It is a theme that has always identified us as criminals, and we believe it appropriate to deal with that issue, no matter how uncomfortable it may be. Four years ago we examined “Guido” subculture among Italian- American youth; everyone came away better informed. To paraphrase our Distinguished Professor Fred Gardaphé, “A doctor doesn’t just look at how good you are, how good your health is; he also looks at how bad you are, and if you may have cancer, he tries to cure you.” Of course, we shall see that not all organized crime is Italian American. Indeed, those Italian Americans who were part of organized crime were under one percent. They’re closer to 0.3 or 0.1 percent. But, of course, there is that stereotype that we have to deal with. In the end, we became a gathering place where the Italian-American community can discuss all sorts of public issues, a place where people can engage in constructive dialogue with others who may have different ideas. I won’t say much about our coming Spring semester of activities because i-Italy|NY’s readers will find them listed in the following pages. Let me just conclude by wishing you all “un caloroso saluto da Midtown,” where we hope to see you soon.